Flower panels cost £2.00 each (including postage). They all have a little edging strip at the side of them showing the same design. This can be used independently or placed on the back of the cushion. 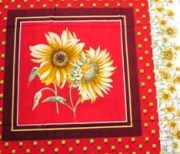 This one is just lovely and bright showing sunflowers that will brighten any room. The background colour is a bright pillar box red with a brownish edge to it.This would be great in a conservatory or a sunny lounge. A nice and bright look reflecting Tulips. This is one that doesn't have a little panel strip but, depending on the size of your cushion, could incorporate the butterflies shown at the edge of it. A great way to bring the spring into your room. The background colour of this one is black. The flowers have rust, beige, cream and green colours in them. 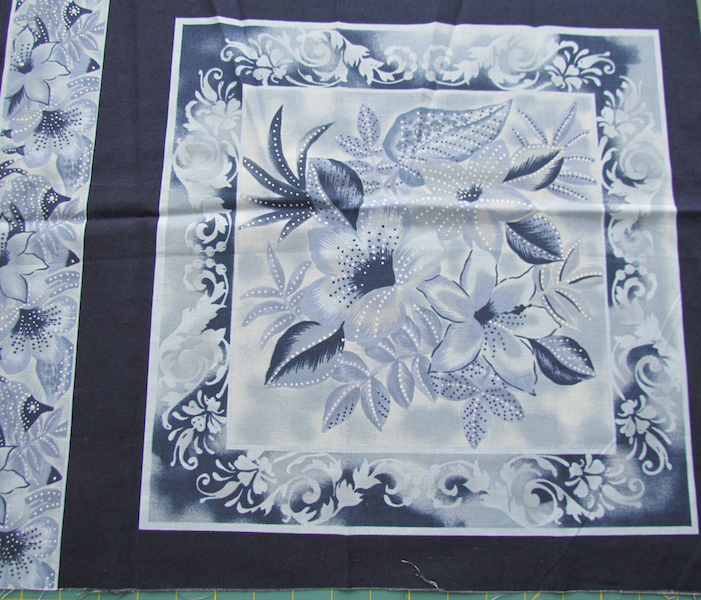 Lovely blue floral panel in various shades with a navy blue border.